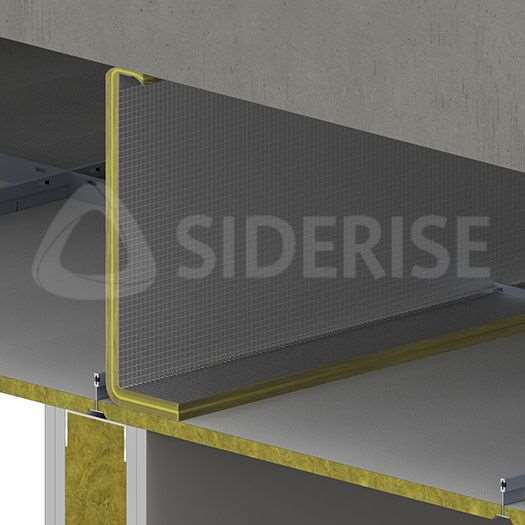 SIDERISE flexible acoustic barriers for ceilings are flexible composite quilts designed for free-hanging in ceiling voids above partition lines. They have been specifically developed to provide a simple solution to improving `room to room’ sound separation via a common ceiling void. All grades of this product offer exceptional sound reduction properties and are suitable for both new build and refurbishment projects. The product is extremely quick and easy to install. Being flexible and thin the quilts are ideal for remedial treatment requiring only limited disruption to an existing suspended ceiling during installation. Note: This product was previously known as Lamaphon CBX flexible acoustic ceiling void barrier and Lamaphon FLX acoustic ceiling void barrier.